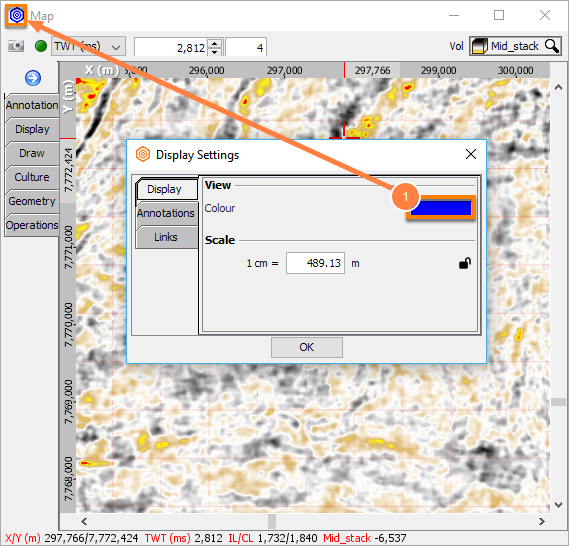 Additional display settings are available for the Map View. Click OK to save the settings and exit the window. 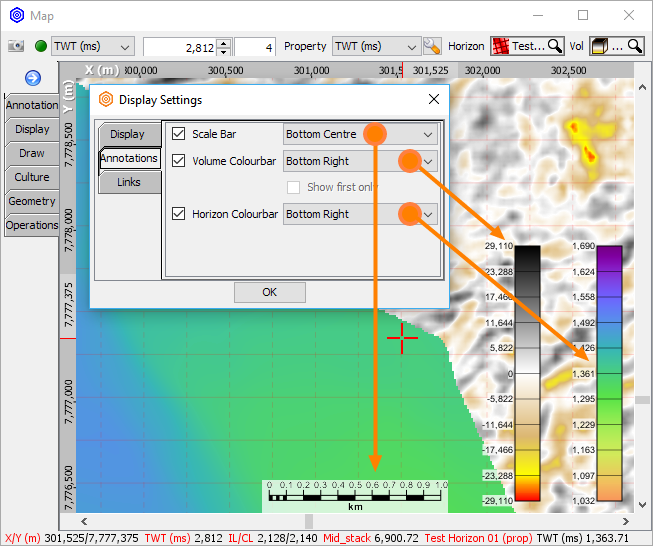 Select a unique Colour to identify the volume selected. This also controls the colour of the navigation markers when this view intersects other views. Type the horizontal Scale ratio for the X and Y axes. Measurements use the units selected in Preferences. 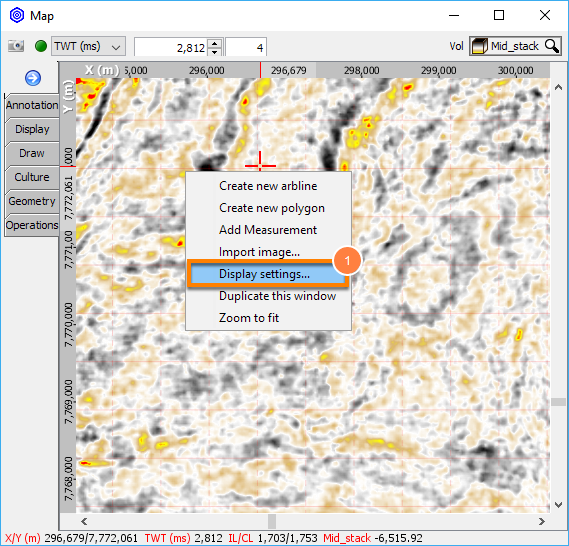 Enable the check box and position for the desired annotation. Scale Bar: displays a scale bar in the current display unit (see Preferences). Volume Colourbar: display the colourbar for the currently displayed volume. Select the position to place the colourbar in the view. Horizon Colourbar: display the colourbar for the currently displayed horizon. See Horizon Display and Amplitude Extraction for details. 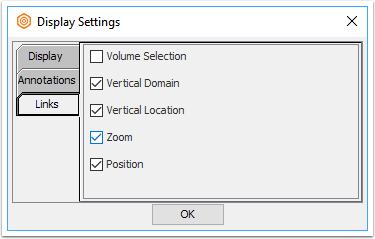 Select the check boxes to link the volume, domain, and position with other views. All views with the same option checked will share that setting (see Linking Multiple Views).